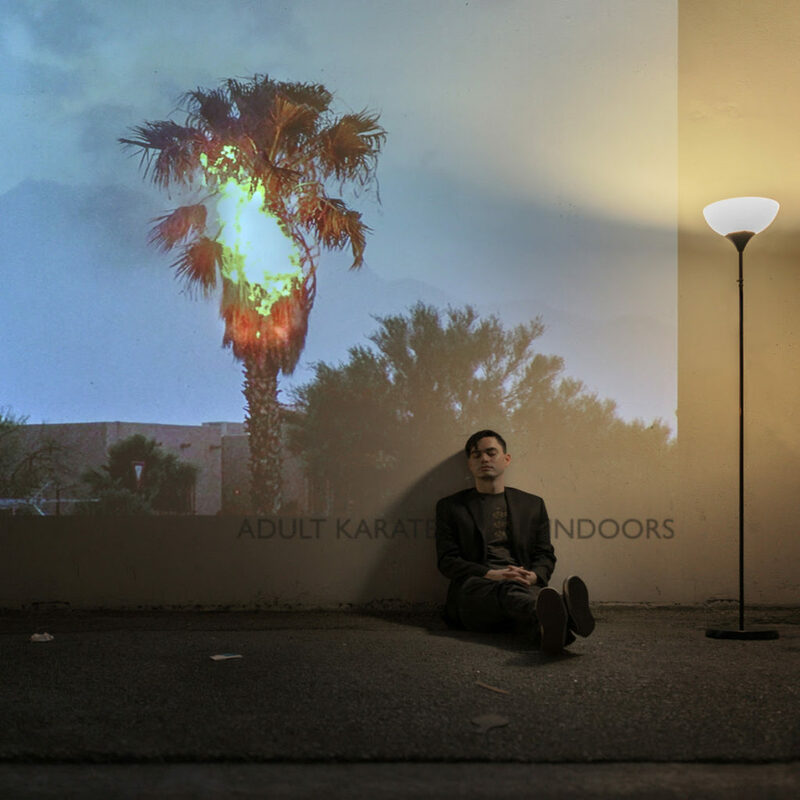 Adult Karate is the first official solo project of Los Angeles based, born and bred producer K.C. Maloney. The “LXII” EP was released 8/19/16 on Plug Research Records and cemented Maloney’s arrival as a solo artist. LXII’s first single, “So Low” (feat. Adaline), garnered attention from a plethora of music blogs and online media outlets (including The FADER) and was added to several influential Spotify playlists. The new EP “Indoors”is set to be released 3/31/17 and sees Maloney crafting a sonic tapestry comprised of airy sounding cinematic post rock textures and trippy, ethereal soundscapes neatly juxtaposed against the traditional acid house elements that were present on LXII. Less introspective than the first EP, “Indoors” is unapologetic and beaming with the confidence and wisdom only gained through having lived, loved and learned. Album opener “From The Dust” serves as a breezy, infectiously catchy song that invokes the Californian spirit of Fleetwood Mac and conjures up images of palm trees swaying in the wind against a technicolor sunset. The track is pleasantly uplifting, freeing and cathartic, giving you permission to let go of any extra baggage or emotional restraints holding you back from living life on your own terms. This fits in thematically with the “Indoors” EP as a whole, which is lyrically centered around the concept of people who are stuck or in the process of becoming unstuck; whether it be because they’ve been ostracized from certain societal sectors for their sexual identity (Coming Home/The Apostate), or they just can’t let go of someone from their past (Friction). It’s a bold collection of songs that highlight the beauty and distress of those yet to find themselves.